While attending the Evangelism Conference in Moore, OK, this past January, I spoke with the head of the Chaplaincy Department at the Baptist General Convention of Oklahoma. 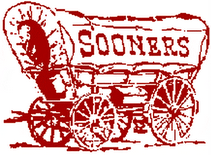 To make a long story short and readable, I am attending Chaplain's Training next week in OKC. Two weeks later, I'll complete a Critical Incident Stress Management course at the OKC police department. When these two things have been satisfactorily accomplished, I'll then apply for endorsement from the North American Mission Board. 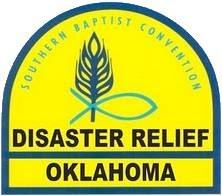 The goal is for me to be an Endorsed Chaplain available for Southern Baptist Disaster Relief. It appears my first assignment may be Haiti! Please pray for me as I begin this new "chapter" in my life. I have the full support from my church and I shouldn't have to be away from the pulpit more than a few times each year. My brother-in-law is doing a year-long internship to be a hospital chaplain. He really likes it! Cool! I have another friend who is a "professional" corporate chaplain. He likes it, too. The Member Care couple for the Caribbean have been to Haiti three times already. They are worn out but want (and need) to go again. A big part of what they've done is help their co-workers cope. wow, what a wonderful ministry that could be, blessings!